113 runners from ACS participated in the Beirut Marathon on Sunday November 11th, running in support of UNICEF. They were aided by four ACS cross-country coaches, along with the many people who were lining the streets, encouraging the runners and the participants on. Running for Team UNICEF means running for children’s access to education, protection, health and vaccination. Over and above that, the runners ran for inclusion, youth empowerment and participation. Each November, the Beirut Marathon holds its annual race through the streets of Beirut. Earlier this year Beirut Marathon Founder Ms. May El Khalil spoke at the ACS Impact Series about the Marathon, how it started and her personal journey with it. The mission of the Marathon is a way to “inspire Lebanese unity, positively change lifestyles, promote wellness, and provide an experience of challenge, achievement, joy, and glory; for the benefit of Lebanon, both now and for generations to come.” When Ms. Khalil organized the first Marathon 15 years ago, no one imagined it would grow from 6,000 runners in 2003 to over 47,000 runners this year. The entire Athletic Department worked on organizing the ACS participants, outfitting them with t-shirts, runner packs and reusable water bottles. 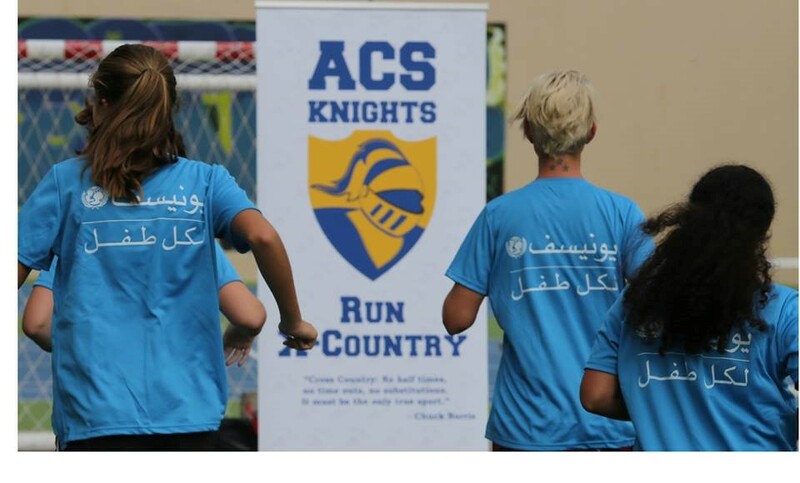 The runners, friends and community surrounding ACS enjoyed a memorable, action-packed day supporting a cause that focuses on inclusion and youth empowerment.